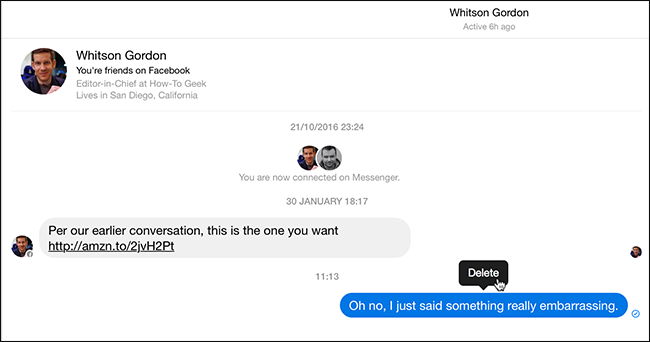 There are plenty of good reasons to delete the occasional Facebook message. Perhaps you’re planning a surprise birthday party for your partner or sharing an important password. We’re not here to judge the reasons why, just to show you how. 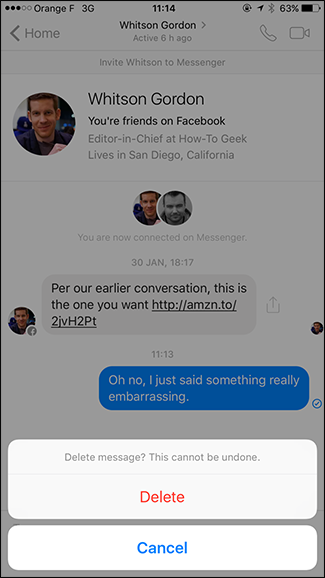 So, here’s how to delete a message in Facebook Messenger. 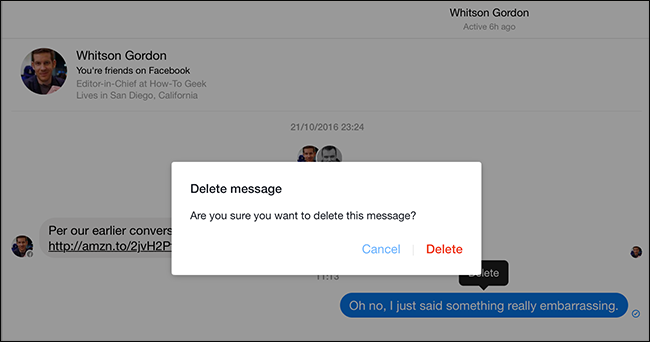 But first, an important caveat: deleting a message only removes it from your account. 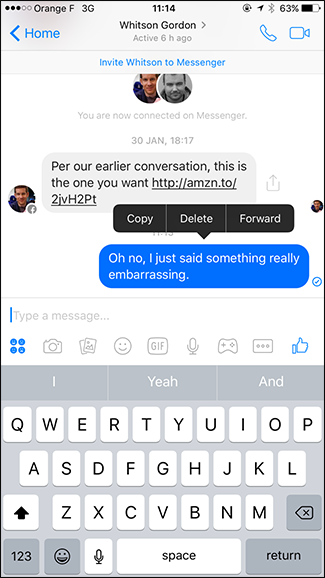 It doesn’t get deleted from the recipients’ inbox. 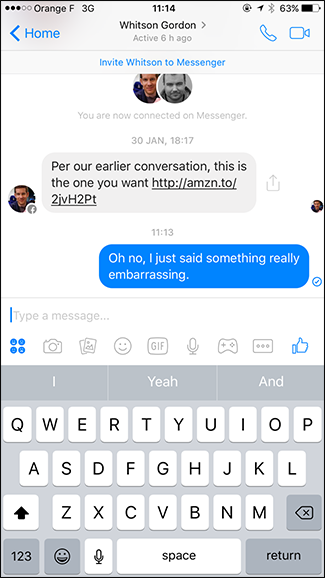 Once you press send, the message is out there. Deleting it won’t take it back (unless you can get them to delete it too). 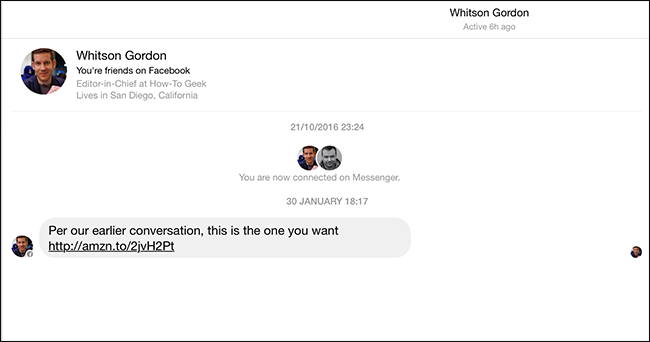 Open the Chat where there’s a message you want to delete. Right click on the message and click Delete. And whoosh. 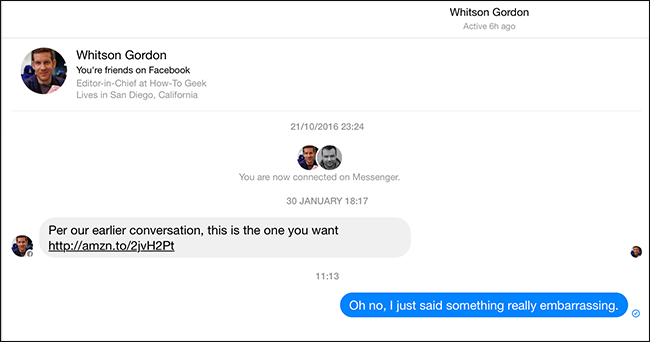 The message is now gone from your Facebook account. 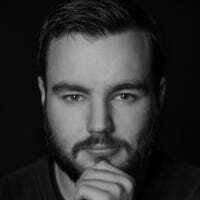 Long press on the message and tap Delete. Tap Delete again to confirm. And once again the message vanishes. Remember, it’s only gone from your account. The recipient still has it.